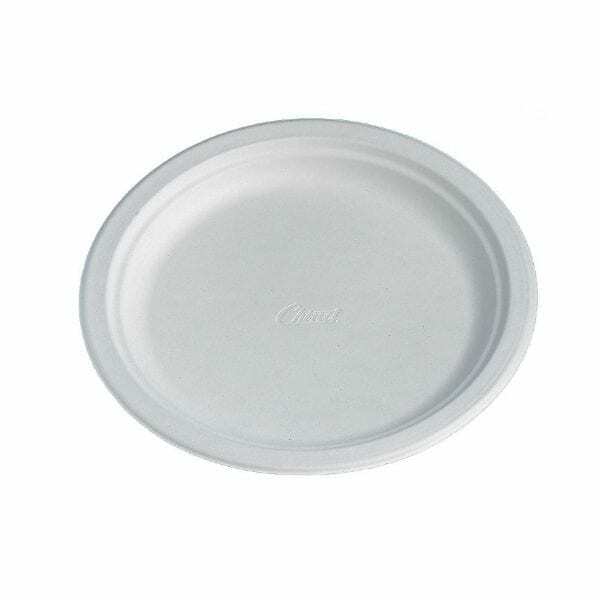 Start making small, positive changes to your food service and the environment by switching to these 240(Ø)mm Huhtamaki compostable moulded fibre plates. As these plates are made entirely from recycled fibre, they are both highly sustainable and fully compostable when sent to industrial composting facilities. By using these plates, you can therefore improve your business’s green footprint, divert more of your waste away from harmful landfill sites and begin taking steps towards a more earth-friendly operation. Not just designed for sustainability, the moulded fibre build means these plates are incredibly strong, lightweight and rigid, making it easy for your customers to carry large portions of food.